He started his career as concertmaster at the Teatro Regio in Parma, a role he held for 14 years, besides frequently invited as soloist with some of the most prestigious Italian and foreign orchestras. 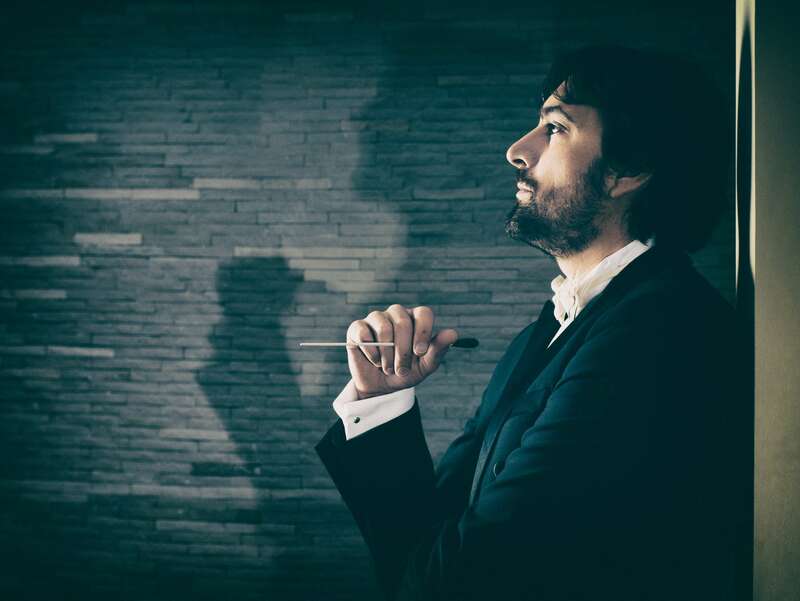 As principal violinist and conductor of the ensemble the Soloists of Teatro Regio di Parma, he conducted several concerts in the world most prestigious concert halls, including Carnegie Hall of New York, Tchaikovsky Hall in Moscow, Kioi Hall in Tokyo and the St. Petersburg’s Philharmonic Hall. Working with great conductors such as Riccardo Muti, Yuri Temirkanov, and Lorin Maazel, it gave Michelangelo a large experience, a sophisticated technique and style, in particular with the Italian Opera repertoire. 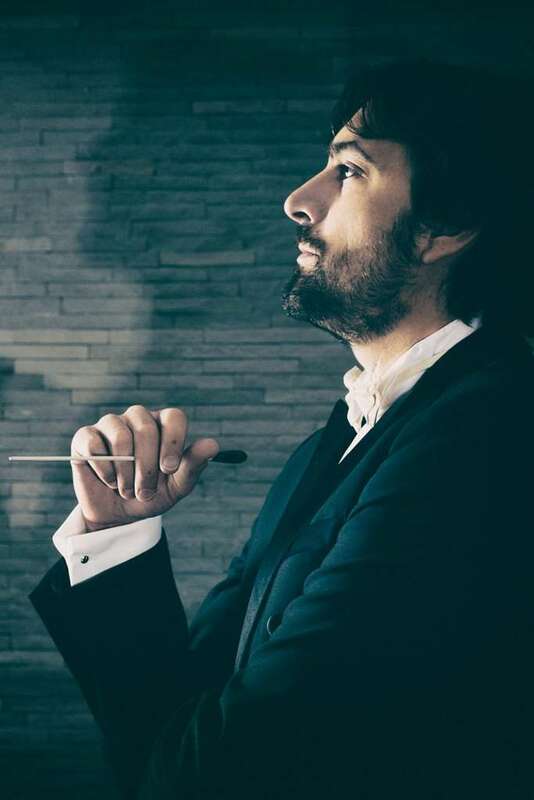 All the above, contributed to his successful debut as conductor with Verdi’s Falstaff at the Theatro Municipal of São Paulo in Brazil, where he also conducted Manon Lescaut and Così fan tutte. In the same year, he also conducted a series of symphonic concerts on the podium of Teatro Lirico di Cagliari and he was invited to lead a concert at the Assembly Hall of the United Nations in Geneva. Michelangelo Mazza has recently made several remarkable debuts in the major opera houses including and prominent orchestras including Theatro Municipal de São Paulo, also conducting Cavalleria Rusticana and I Pagliacci at the National Theatre of Tirana, Symphonic Concerts at The Verdi Festival in Parma, Rigoletto at Teatro Massimo Bellini in Catania, Teatro Lirico in Cagliari conducting La Bohème by Puccini, Symphonic concerts with La Verdi Orchestra in Milano and at Teatro Bellini in Catania. Furthermore, M° Mazza’s collaborates with international opera stars Anna Netrebko and Yusif Eyvazov leading the orchestras in gala concerts in the most prestigious concert halls and symphonic orchestras worldwide. Among his recent and future engagements, it’s worth mentioning Adriana Lecouvreur at Deutsche Oper Berlin (with Ms Netrebko and Mr Eyvazov), Un Ballo in Maschera at Hungarian State Opera (new production), Verdi’s Aida at the Verdi Festival in Parma, a gala concert with Olga Peretyatko at Müpa Festival in Budapest, and gala concerts with Anna Netrebko and Yusif Eyvazov at Bolshoi Theater, Waldbühne Berlin, Alte Oper Frankfurt, Kölner Philharmonie, Festival Hall Baden-Baden, KKL Luzern and many others.